The same week that U.S. Pres. Donald Trump inaugurated a new effort to enlist the Sunni Arab world’s help in bringing jihadist terrorism to an end, a troubled young British man blew himself up at a pop singer’s concert in Manchester, killing 22 people—mostly young girls. This was the 12th jihadist terrorist attack in Europe in the last two years, and it precipitated a now familiar round of outrage and empty theorizing. Nobody really seems to have an actual solution to the threat besides wishful thinking, or even greater levels of violence than the decades of war the United States, the United Kingdom and their allies have already waged across the Muslim world. This failure to arrive at coherent, realistic answers is rooted in a simple, unwelcome fact—the United States, Britain and their European allies are politically closer to the autocratic Middle Eastern regimes—principally Saudi Arabia—which export a puritanical and toxic form of Islam for their own strategic purposes than the forces capable of stopping or resisting terrorism. Further, the policies pursued by Western governments not only do not solve the problem, they actually make it worse. The good news is that there is an obvious set of solutions to the terrorist threat that could very likely bring the specific danger at hand to an end—once and for all. The bad news is that these solutions entail a fundamental shift in the West’s dealings with the Middle East. The terrorist that attacked Manchester was part of a political tendency that got us here today in part because of work of the United States and its major allies. This is not a secret and the Western powers did not really hide their work. It began with attempts to undermine national liberation movements during the Cold War—movements which often received support from the Soviet Union. National liberation movements have understandably little interest in being someone else’s geopolitical stepping stone, but building a country isn’t cheap or easy. With the European empires collapsing and with new states proliferating, the Soviet Union moved in to provide resources for these movements along with a conceptual framework rooted in socialism, nationalism and anti-colonialism. 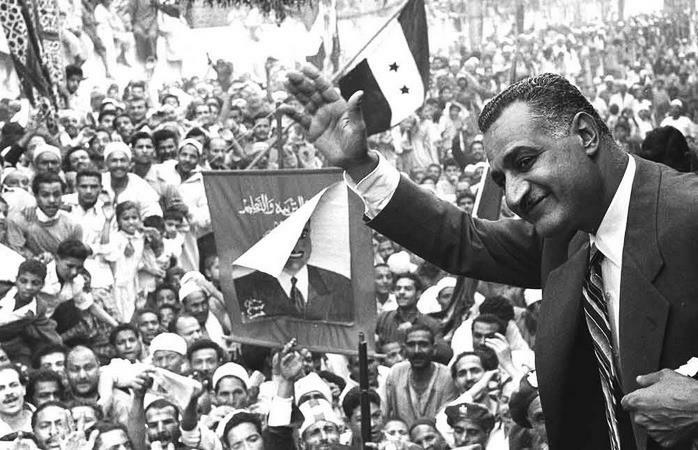 In the Arab world, these movements were successful in establishing a powerful base in Egypt under Gamal Abdel Nasser. In response, the United States and its allies needed an ideology and mass movement that could undermine these ascendant nationalist regimes—without the movement spreading unpredictably to U.S.-backed regimes in Latin America, East Asia and Sub-Saharan Africa. Islamism served this purpose. The Muslim Brotherhood was founded in Egypt in 1928 by Hassan Al Banna and emerged by the 1950s as the primary political opposition to Nasser’s regime, even attempting to assassinate him in 1954 and 1966. The CIA supported Al Banna’s son-in-law, Said Ramadan, during his turn as head of the group. “While it’s too simple to call [Ramadan] a U.S. agent, in the 1950s and 1960s the United States supported him as he took over a mosque in Munich, kicking out local Muslims to build what would become one of the Brotherhood’s most important centers—a refuge for the beleaguered group during its decades in the wilderness,” journalist Ian Johnson wrote in a 2011 piece for The New York Review of Books. Political Sunni Islam today draws its roots from the Muslim Brotherhood. Sayyid Qutb, the Brotherhood’s most important ideologue, organized the 1966 assassination attempt on Nasser. Qutb’s ideas are still the major inspiration for the most extreme manifestation of this, the so-called takfiri jihadists—so-named because they follow Qutb’s heterodox teaching that devout Muslims can unilaterally declare other Muslims to be apostates [takfir in Arabic] and thus subject to execution or murder. Ayman Al Zawahiri, Al Qaeda’s fugitive leader, studied directly under Qutb, and Qutb’s brother Muhammad went into exile in Saudi Arabia where his weekly class at King Abdulaziz University was regularly attended by the young Osama Bin Laden. The organization that perpetrated the 9/11 attacks and which ultimately spawned the sponsor of the Manchester attack has its roots in U.S. efforts to undermine national liberation movements in the Middle East. Of course, the roots were just the beginning of this collaboration, as Bin Laden in particular came to political and military maturity as part of the CIA-aided war against the Soviet Union in Afghanistan. In 1980, the Soviet Union deployed its 40th Army to suppress a widespread conservative insurgency opposing the Soviet-backed PDPA. 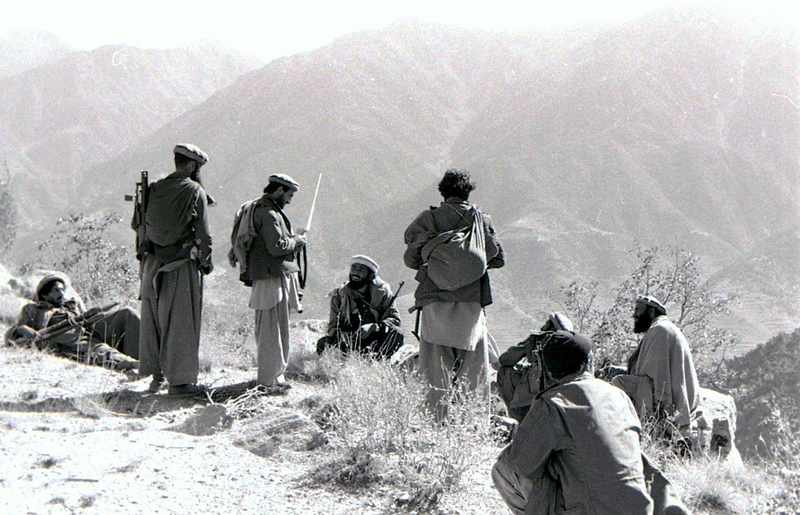 The Soviets soon found themselves in a guerrilla war against the Islamist mujahideen. Western media presented these forces as heroes, and the CIA provided extensive funding and support via Pakistan for a variety of Islamist armies, including those who would give birth to the Taliban. This strategy was hardly opaque, and in fact it has become conventional wisdom that the United States blundered in supporting these forces only to turn around and face them on the battlefield themselves later. But the crucial fact is that the political and financing networks that made their struggle possible still run through our closest political and economic allies in the region. 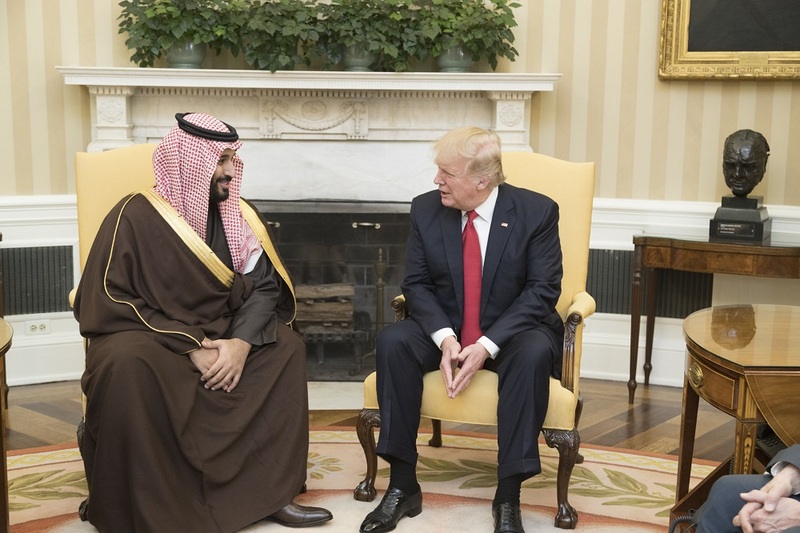 The core of this support was Saudi Arabia, which bases its legitimacy via a special relationship with Wahhabi Islam, and the kingdom’s primary means of international power projection is through the sponsorship of Wahhabism. Arabia was populated by a variety of nomadic tribes and fiefdoms until the House of Saud aligned with the charismatic religious teacher Ibn Abd al-Wahhab in 1741. Wahhab taught a fundamentalist form of Islam rooted in the idea that the earliest followers of Muhammad—”al-salaf al-salih,” or “pious forefathers,” hence the synonymous term Salafism—practiced the purest, most authentic form of Islam. “Ibn Saud’s clan, seizing on Abd al-Wahhab’s doctrine, now could do what they always did, which was raiding neighboring villages and robbing them of their possessions,” former British spy Alastair Cooke wrote in an especially useful Huffington Post piece. “Only now they were doing it not within the ambit of Arab tradition, but rather under the banner of jihad. Ibn Saud and Abd al-Wahhab also reintroduced the idea of martyrdom in the name of jihad, as it granted those martyred immediate entry into paradise. The Ottoman Empire crushed the Saud-Wahhabi alliance in 1815-1818, but following the Empire’s collapse in World War I the Saudis commenced a new campaign to unite Arabia using a nomadic insurgent army known as the Ikhwan to wage a new holy war across the peninsula. Conceived as a campaign to purify Islamic practice in the land of Mecca and Medina, the Saudi throne to this day justifies its absolute rule in terms of defending the faith. These concepts—jihad as an actual military campaign, intolerance for all but the most chauvinistic forms of Islamic practice, unrelenting violence against all infidels and apostates, and the drive for an earthly caliphate uniting all believers—are the core of extremist political Islam, and the principal motivations for all jihadist terror groups. Saudi Arabia openly financed the mujahideen on these terms in Afghanistan in the 1980s and is the primary sponsor for the academic, religious and social institutions that support Islamist parties and movements across the Muslim world. The Saudi government spends as much as $2 billion a year on promoting Wahhabi Islam internationally, amounting to more than 90 percent of Islamic religious spending worldwide and greater than what the Soviets spent annually on propaganda during the Cold War. Besides this overt spending, there are indications that the Saudi government is a source of funds, whether wittingly or unwittingly, for Islamic terrorism as well. The 9/11 Commission found that hijackers were in close communication with two men widely believed to be Saudi intelligence officers. One of the hijackers also had unlisted phone numbers for a bodyguard at the Saudi Embassy in Washington and the company responsible for managing the Saudi ambassador’s home. Again, most of this is increasingly well-known, but conventional wisdom seems to think that Saudi extremism and terror ties are contradictory to the United States’ interests in supporting the regime. But it’s contradictory only if terrorism poses a strategic threat to the West—it does not. To understand why, we must study what it actually takes for terrorists pose such a threat, such as through winning a war or overthrowing an established government. Perhaps the most successful modern theorist-practitioner of guerrilla war, Mao Zedong, preached that “the richest source of power to wage war lies in the masses of the people.” No war, least of all a guerrilla war, can be won without a large political base of support to provide willing soldiers, resources and a secure home ground. There is no such willing base of support for jihadism in the West. Muslims form less than two percent of the U.S. population, and they are almost entirely hostile to the jihadist cause. Europe has a larger Muslim population—around six percent across the continent, but this includes traditionally Muslim nations of Southeastern Europe that are now predominantly secular. The 12 attacks in Europe over the last two years demonstrate that there is a pool of jihadists there, but reports that Muslim community members tried to turn in the Manchester bomber years before the attack—to little avail from the security services—further indicate that they are still a fringe element even within this small minority. 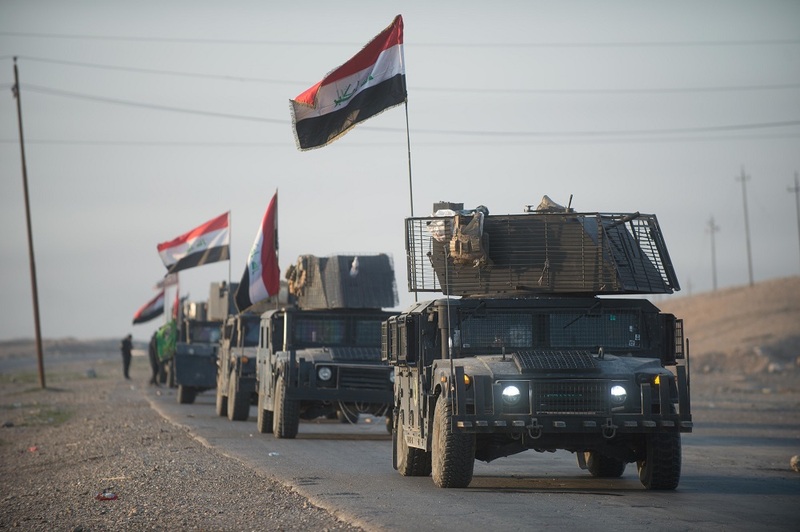 Without a mass base to serve as a “rich source of power” for their warmaking, jihadists can never expect to achieve any lasting political power in the West, and warnings to the contrary are alarmist fantasies. Their attacks are disruptive and devastating for the families affected by their cruelty, but they are not a meaningful strategic risk for these states. However, there is a possible political base in Sunni Arab countries for political Islam, specifically the Wahhabist brand exported by Saudi Arabia, which provides a hermetically-sealed worldview that does not make anti-imperialism much of a priority. This further serves as a means of conservative social control for U.S.-friendly regimes, and makes for a useful competing ideology to the nationalist regimes aligned against the United States and Israel. At the same time, Wahhabism undermines Iran’s political base in the region through anti-Shi’ism. Osama Bin Laden’s major innovation, in retrospect, was to flip jihadism—a weapon meant to defeat Arab liberation movements—against the West and the Saudi regime at the same time. His 1996 declaration of war against the West reads very much like a traditional litany of nationalist grievances against Western imperialism in the region, listing the deployment of U.S. and allied troops in the region, imposition of economic sanctions and the Israeli occupation of Palestine. Islamic State has done something similar, and in both cases Western military interventions were necessary to squash these terrorist groups. But almost invariably, these interventions have followed destabilizing attacks on secular, nationalist regimes. In fact, it is striking that during the so-called War on Terror, these are the only governments that the United States has managed to overthrow aside from the Taliban. The key to solving the whole international disaster that leads to attacks in cities such as Manchester is, ironically, to come to an accommodation with the original Islamist regime, Iran, which just re-elected reformist Pres. Hassan Rouhani. Iran is also currently the key obstacle to the United States in the region, and therefore a major thorn in the side of U.S. global ambitions. Imagine, however, if the United States gave up those ambitions, and instead worked together with Iran against Islamic State. It might sound radical, were the United States not currently doing exactly that in Iraq right now with the Iraqi government serving as an intermediary. 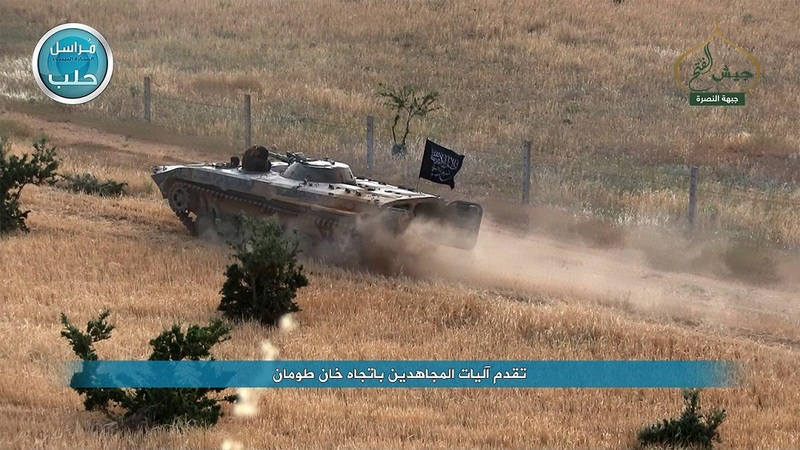 This is not the case in Syria, where American weapons intended for U.S.-backed rebel groups have fallen into the hands of Jabhat Fateh Al Sham, a formerly Al Qaeda-affiliated jihadist army which has received clandestine support from Qatar, a close U.S. ally. Of course, Saudi Arabia, Qatar and Israel would be extremely nonplussed by this decision, which is convenient as all are dependent on the United States. A normalization of relations with Iran would likely mean the United States would have to pressure Israel to withdraw to its 1967 borders. It would also be incumbent upon Iran to rein in Israel’s two greatest security threats, Hamas and Hezbollah. The United States could also finally compel Saudi Arabia to drop its ideological project in the region, to root out support being provided to jihadists and their allies in the royal family. The regime—one of the most repressive in the world—is unlikely to survive these changes, but a post-carbon economy appropriate to what we know about climate change should make this less of a strategic threat. In the end it would mean that the United States would give up on trying to control this region. But in the interim, politicians at home will use the fear of terrorism—a remote and obscure threat—to justify crackdowns and power grabs, to instill suspicion, and to train the public to hate anybody they label “terrorist.” As long as that continues, it would mean continuing to pay the price of our present folly.